i tried Capcom vs SNK 2 for gamecube both on Dolphin and Ishiruka but i still have the same issue. 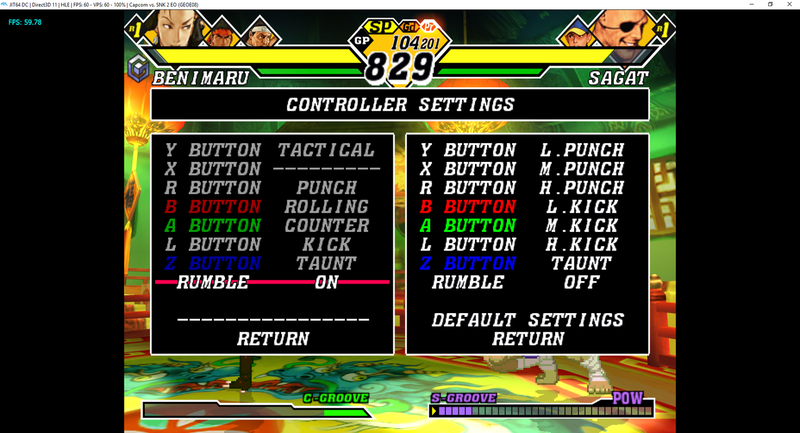 The controller is correctly mapped in Dolphin and it work correctly with others games. 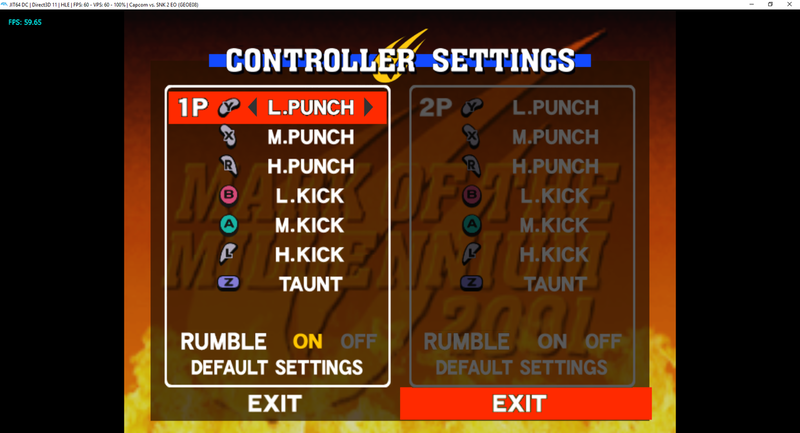 Don't know anything about this game, but if you need to you can always reconfigure your controls in dolphin (you can even do it so that it's only for this game). (08-17-2018, 12:22 AM)ExtremeDude2 Wrote: Don't know anything about this game, but if you need to you can always reconfigure your controls in dolphin (you can even do it so that it's only for this game). Cheers for the info, I'll have to try this out. (08-18-2018, 09:05 PM)anthonykrese Wrote: Cheers for the info, I'll have to try this out.